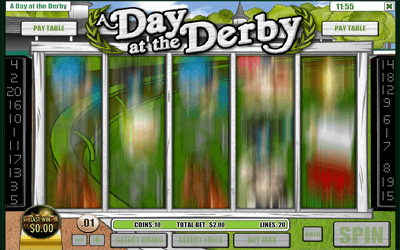 A Day at the Derby comes from Rival Gaming, and you will find that the developer offered in it a regular slot machine, with 5 reels that operate with up to 20 active lines. There is a maximum cash jackpot of $18,750 on the line. 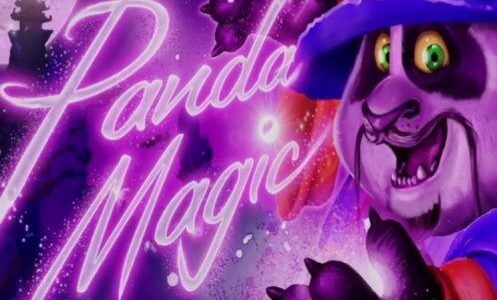 As for the feature list, it has for you two different scatters, one wild, plus bonus games and free spins with tripled wins. The theme in use here is related to horse racing, a topic that is not without competitors if you look at what other developers have created in the past. You’re getting the jockeys, racing horses, spectators and various other related images on its reels and in the background. 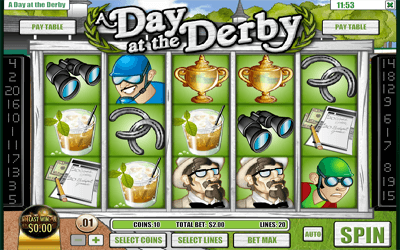 Playing A Day at the Derby you can use up to 200 coins in your bets, this being possible thanks to the line bets, which accept a maximum of 10 coins each. The range for the coin denomination is not very high, reaching a maximum of $0.25. You can end up spending $2.50 on a single line, while for all 20 lines you would need up to $50. The rewards aren’t particularly impressive, reaching a value of 2,500x in the base game, which would mean at best $6,250. 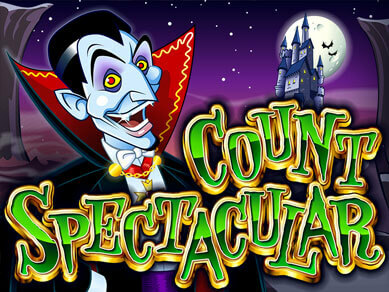 You can triple them though, to $18,750, if you get the jackpot during the free spins. The Green Jockey is the one to award this jackpot, when it forms a five symbol combo. You have three different symbols to look forward to, where features are involved. The first one would be a Brown Horse, acting in this case as the wild symbol. It can replace any other symbol, if the result is the formation of a winning combination. There are Brown Horse wilds only on the first three reels. A multiplier is applied if there are two or three wilds in a combination, at 2x or 3x, respectively. Second, I suggest you take a look at the Blue Jockey. This one is a scatter symbol, which is allowed to appear on all the reels, and in any random position. 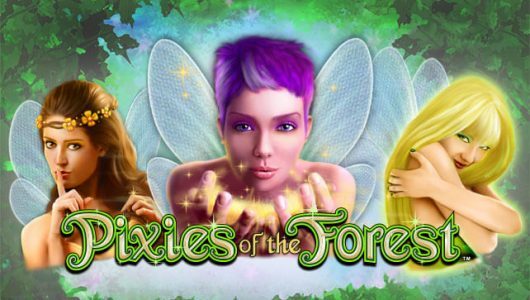 Simply having 3, 4 or 5 such icons in view will get you access to 5, 10 or 20 free spins, respectively. All wins obtained at this point are worth three times the base game value. Finally, we have the White Horse. Also a scatter symbol, it triggers a bonus game if you have a minimum of three visible on the reels. The next screen will ask you to pick one of the three horses and jockeys. The result of the race will determine the prize that you will be able to take home. 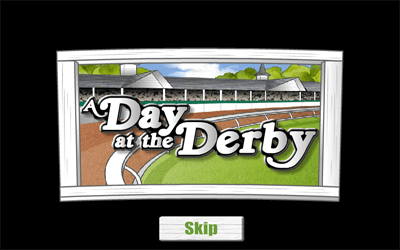 The horse racing theme is clear enough, and thankfully it is visible in all the symbols selected for A Day At The Derby. The game’s symbols start with the blue and green jockeys, continue with the white and brown horses, and then move on to the regular icons. There, you will find red roses, gold trophies, male and female spectators, horseshoes, ice tea drinks, binoculars and betting slips. The cartoon design style chosen for this particular slot makes it look a bit like a caricature, at least if you check out the jockeys and the horses. The rest of the symbols are more acceptable. Most horse racing themed titles will be like this, looking OK mostly, but not managing to impress. 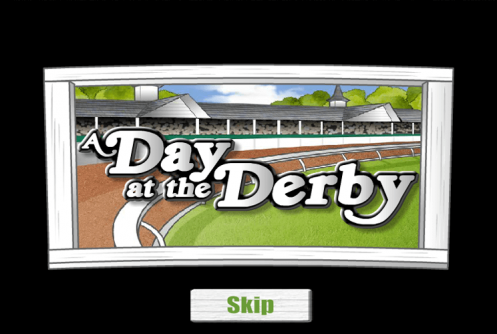 A Day At The Derby should be an acceptable choice for players that enjoy horse racing in real life as well. Various features which are included inside will make sure that you will get a chance to improve those average prizes further, getting to significantly higher values with some luck.